Last night, the United States was swept up in a “midterm election” frenzy. Supporters on both sides of the aisle remained riled up, promising the arrival of a “blue wave,” or alternatively, a “red wall,” referring to a potential tsunami of Democratic individuals being voted in, or having the Democratic tsunami blocked by a wall of Republican candidates. In the end, the Democrats dominated the House of Representatives, whilst the Republicans retained control of the Senate. That’s not why we’re here though. A mind-shattering number of women ran for office this election season, and even more so, made history last night by being voted in! Just to offer some perspective, 3,379 women ran for various positions up for grabs across the nation. This number is 700 higher than the last known historic high. That’s absolutely phenomenal! Additionally, 235 women were on the ballot for the U.S. House of Representatives, which is 40 percent more than the last record! Ayanna Pressley is the first black woman to represent Massachusetts in Congress. My personal favorite Pressley quote, and new personal motto from this day forth? “My mother did not raise me to ask for permission to lead.” Tell it, girl! The Latina has been going from strength-to-strength in her campaign for Congress from the very start, but she brought it all the way home! 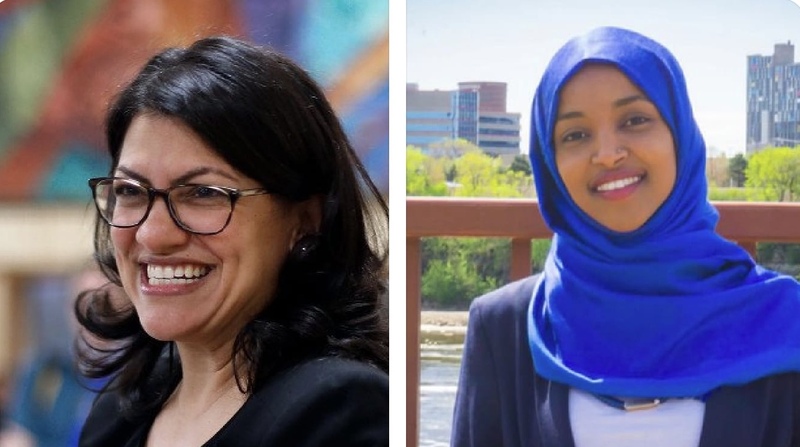 I watched in utterly elation as Rashida Tlaib became the first Muslim women EVER elected to Congress! Rashida has said, “I’m going to be showing people that if you work hard enough, if you love your community enough, you can do whatever the heck you want.” Now, she’s taking that attitude all the way to Congress! Ilhan Omar, a former refugee, is the first Somali-American ever elected to Congress. She proudly told her supporters, as an ode to her own story, “here in Minnesota, we don’t only welcome immigrants; we send them to Washington”. In its centuries-old, storied history, there has never been a female, Native American representative in Congress. All that changed last night, as Deb Haaland, a member of the tribe Pueblo of Laguna, won her seat. As well as being one of the first Native American women in Congress, Sharice Davids is also Kansas’ first openly gay representative on both state, and federal level. Texas went a step beyond and elected two Latina congresswomen in one go: Veronica Escobar and Sylvia Garcia. Whilst its mind-boggling that a state with a Hispanic population as high as the Lone Star state took this long to elect Latin-American representatives, it’s thrilling to see that dry spell come to a close. Lauren Underwood is the first woman to represent her district, winning a seat that has historically only ever been occupied by a white man. Add to the mix that she is the youngest black woman to serve in Congress, and we have the perfect recipe for positive representation. The ninth elected governor of Guam, Guerrero is the first ever female elected in this role. She fought a contentious battle, winning by a slim margin, but there’s no doubt that Guam will benefit from the unique perspective of a female leader. Anna, the daughter of immigrants, is the first Iranian-American to represent her district.